Murfeiss Vista™ Collection Wall bracket fixture in brushed steel finish, uses 100-Watt A-19 incandescent bulb. Bulb has voltage rating of 120-Volt AC. 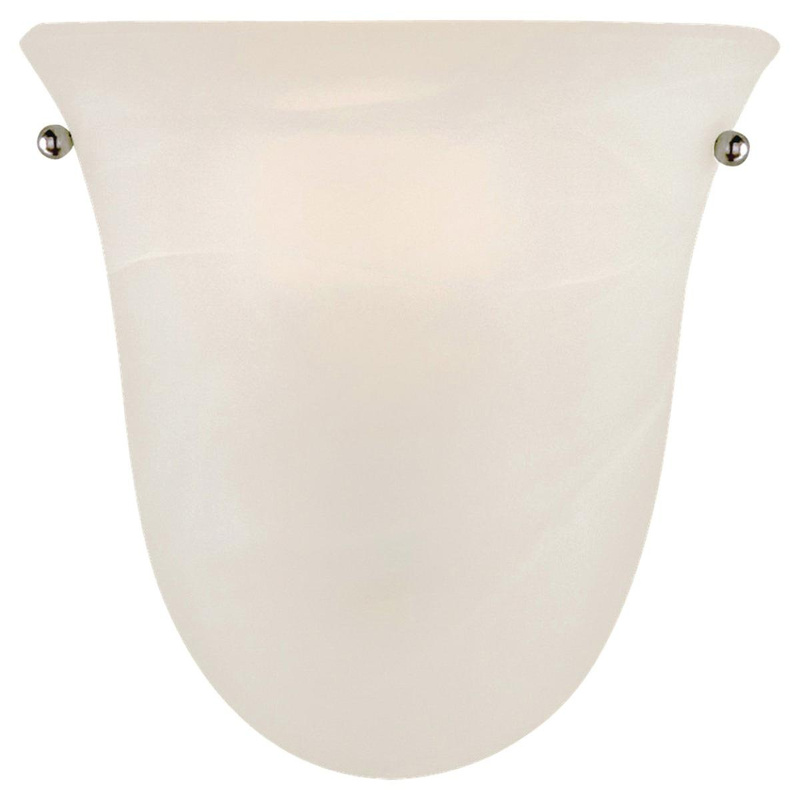 White alabaster glass diffuser shade brings elegance to home. It measures 8-Inch x 8-Inch. This medium socket light fixture has 8-Inch lead wire for hassle-free installation. Light fixture is UL listed.